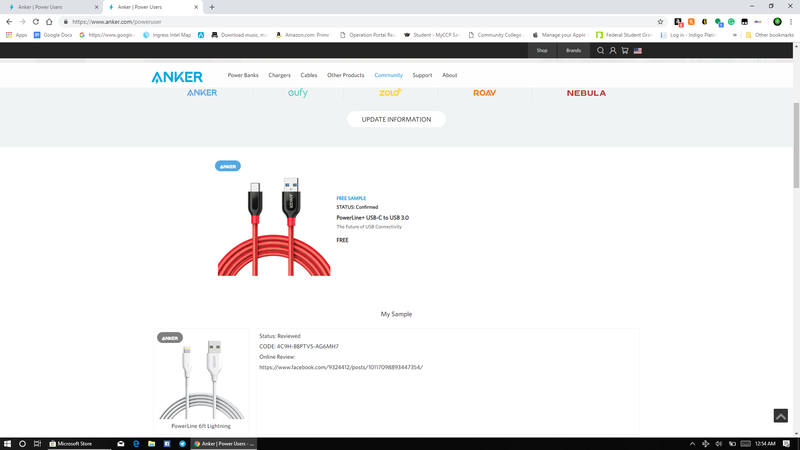 Drop an email to marketing@anker.com they will be able to verify and manually mark it as completed (reviewed). I e had Rosa update my PU status, but despite others getting codes, and me actually missing g out on products (and products not even showing g after the fix as gone! It was fixed during the product availability), I still get nothing. Also, it would be great, if we had a European ONLY comp, just like the several US only comps. Sadly tho, we're always sharing comps with USA, and as we Europeans are so out numbered, we rarely do well (statistically speaking). Haha, don't you forget the current Robovac giveaway is UK&DE only? But we will seriously take your advice to make more contests for more countries! They distribute 50 RoboVacs for UK and DE only. And the US and CA friends are NOT jealous at all! Yes, this ONE comp for Europe only, but how many others? All the times we are joined by USA in a comp, how many Europeans win? If a 20 giveaway, you'll be lucky if 2 from Europe win. Then count the number of sole USA comps, and compare against solo European comps... Apart from the hoover, I'm struggling to think. I have entered the hoover comp, but I don't hold my breath. I'm still waiting for 2 powerbanks, that never made it through my door. We should not start an absurd discussion about the offers. Some were given to those, other to these. The ANKER marketing knows how and where to act, I suppose. May be the whole US and CA are really cleaned by Robovacs perfectly and now UK and DE are focused for cleaning our flats! Does anyone else have a review sitting at submitted since the redo of the superuser page? Mines been there prior to the redo. I emailed Rosa and support last week..Still haven't heard anything. What country are you from? That may have a small bearing. Also, despite power user page being overhauled, all they've done is remove the items for testing, and turned it into a discount page‽ Which I'm sure for those with money to spend, is great. have you stopped doing the POWER USER program? No.more twiddle twaddle, about maybe perhaps, it could be, a beta page.... That's done in China, saving thousands. We get it, but let's be honest. They are giving away nearly 700 prizes in the next week or two I'm sure that has something to do with it and that the power user program will be back to normal soon.